Ubisoft’s free-to-play platform fighter game, Brawlhalla, is making its way to Nintendo Switch on November 6, 2018. Brawlhalla features over 40 unique characters, single player mode, co-op mode, and online modes. 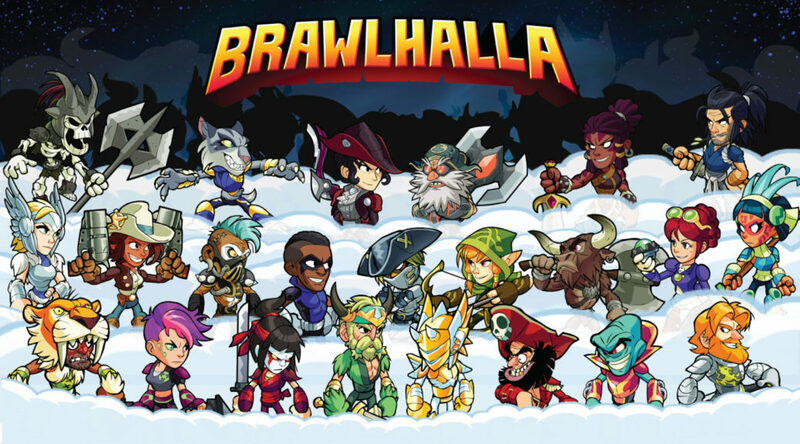 Brawlhalla is currently out on PC and PS4 and has over 15 million players. Today, Ubisoft announced that Brawlhalla, its free-to-play platform fighter game with more than 15 million players on PC and PlayStation®4 computer entertainment system, will be launching on Xbox One and Nintendo Switch on November 6. Developed by Blue Mammoth, Brawlhalla is an epic free-to-play platform fighting game that brings players to the fight for glory in the halls of Valhalla on PlayStation 4 and Steam, and will release on Xbox One and Nintendo Switch on November 6. Choosing from over 40 unique characters, players can jump into single-player and co-op modes as well as online and local competitions. The third annual Brawlhalla World Championship will take place at Dreamhack Atlanta November 16-18.